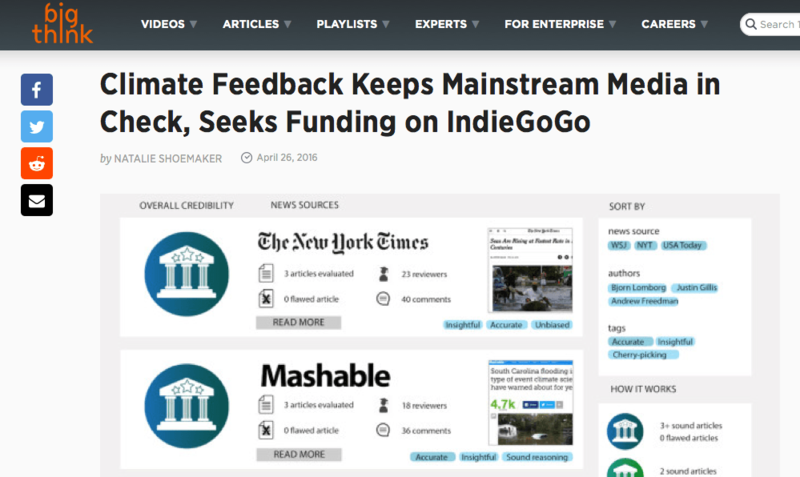 "Climate Feedback's website shows us trends in the media community. Websites which were once in high-standing in my own mind quickly fell from the pedestal." "Not only is it important that inaccuracies in climate reporting from opposition groups be addressed and refuted, but it's also important that well-intentioned but misleading environmental reporting also be corrected." 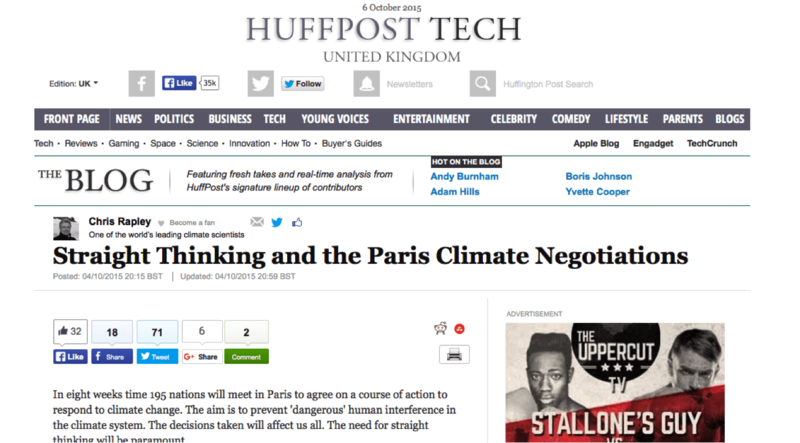 "The approach Climate Feedback employs is unique in several respects. 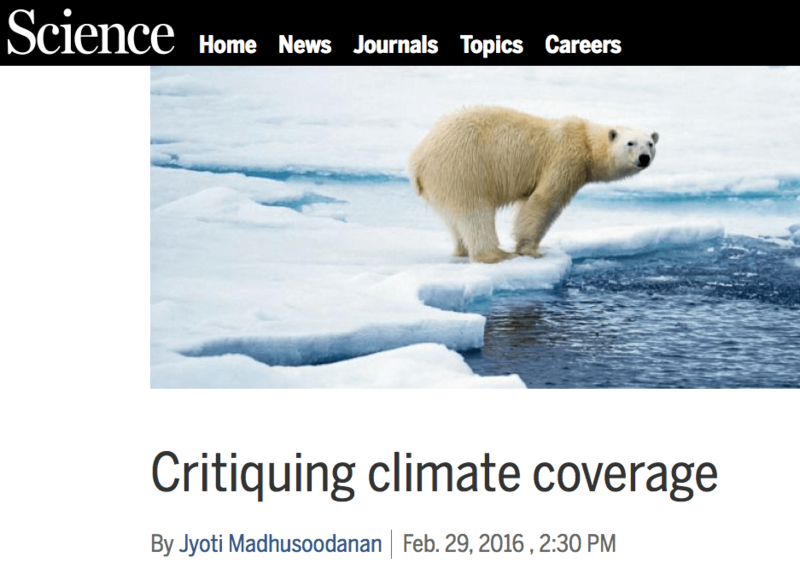 It borrows from the peer review process used to evaluate scientific research papers, ensuring that media coverage of climate science receives a similar level of scrutiny." 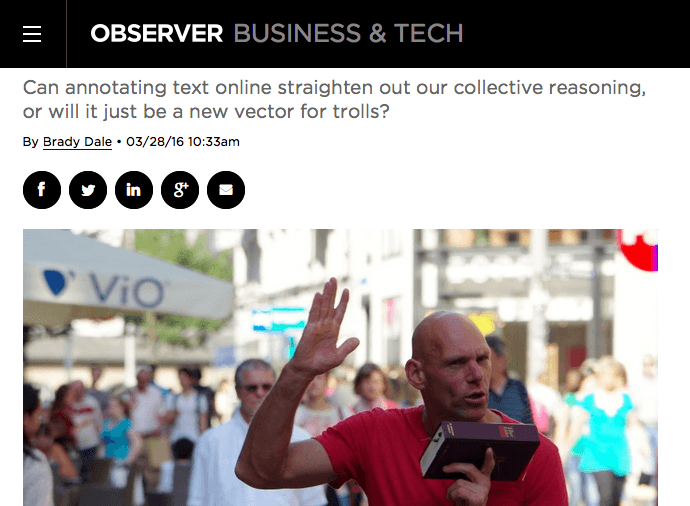 Can annotating text online straighten out our collective reasoning? 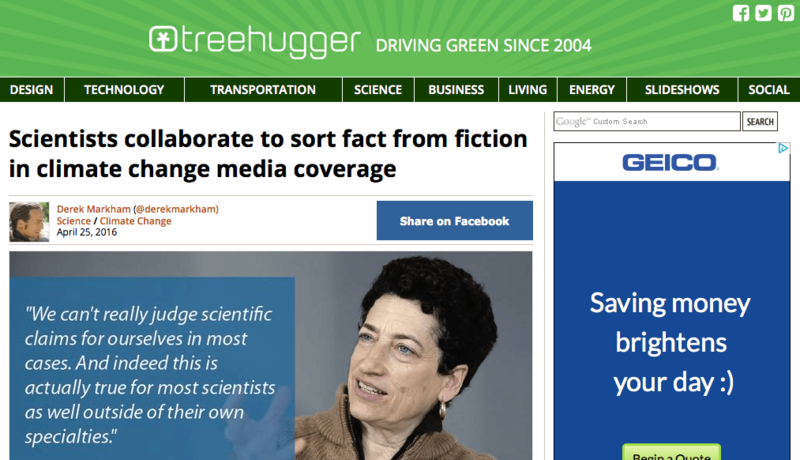 "The scientists found each other through an organization called Climate Feedback, powered by Hypothesis. [...] It is hard to argue that this isn’t annotation at its best. Each note deepens the conversation, leads to additional sources and provides meaningful context." "Even in some very prominent outlets there are sometimes inaccuracies, and it can be very hard to know what is right, because you can hear one thing and then the opposite from one day to the next"
"John Cook of the Global Change Institute at the University of Queensland, Australia, says that Climate Feedback could be powerful from a psychological point of view. 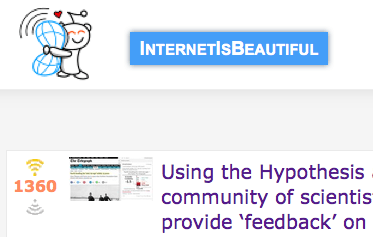 “By highlighting misinformation, you’re sending a visual cue to the reader to be cognitively on guard.”"
"The Climate Feedback initiative provides a valuable service - making the insights and knowledge of scientists at the forefront of their respective fields available to us all, and allowing us to judge for ourselves whether or not scientific information has been reported accurately. It is already improving journalistic standards." 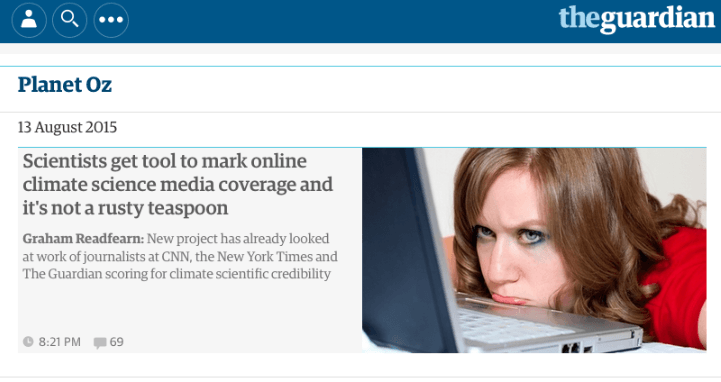 "Using the Hypothesis annotation platform, Climate Feedback's community of scientists go through a variety of online media articles and provide ‘feedback’ on the scientific accuracy of the information presented. 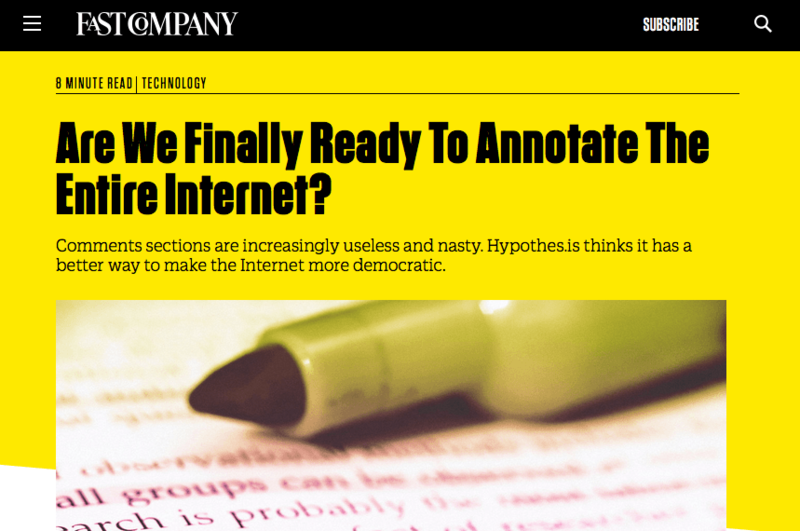 Readers can then view these annotations directly alongside the original texts." 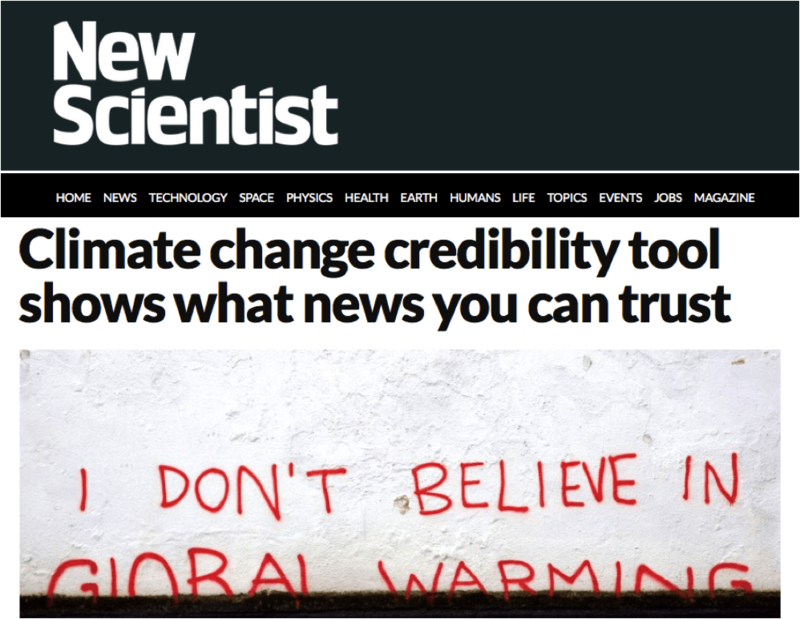 "One growing community of scientists has a new tool at their disposal to assess the credibility of climate change stories and commentary online. And it’s not a rusty teaspoon. 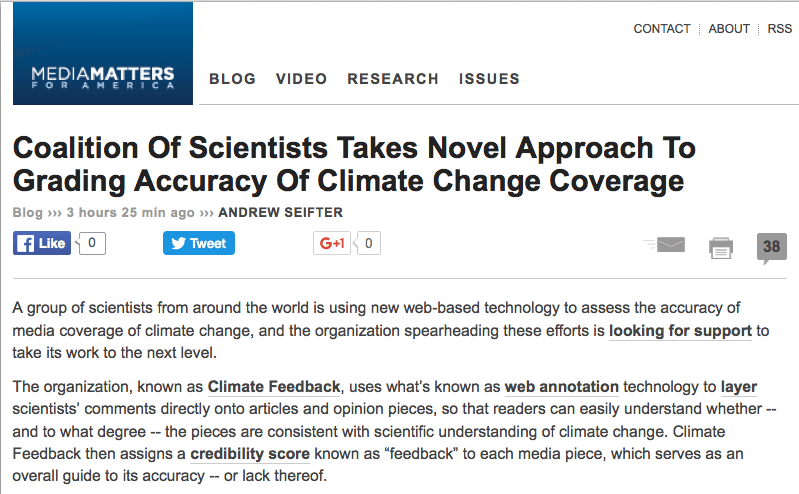 Using the Climate Feedback tool, scientists have started to diligently add detailed annotations to online content and have those notes appear alongside the story as it originally appeared."